Loved reading your thoughts on this one, Chrissi! The fact that this one has been challenged is frustrating for sure. Thanks Jennifer. It makes me so mad that this one is challenged! Agree, agree, agree! This book would make a great gift for a child who is going through these issues. 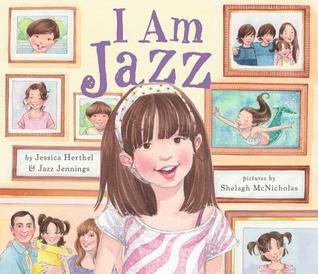 Btw…is this based on the TV show I am Jazz? I believe it is! I haven’t seen it myself, but I’ve heard so much about it.